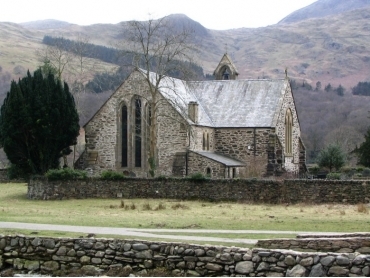 The Parish Church of St Mary is set within its own walled churchyard in the centre of the village of Beddgelert, Gwynedd, North Wales. The church site is traditionally regarded as one of the oldest religious foundations in Wales. Mentioned by Giraldus Cambrensis in c1216, the priory became an Augustinian house soon afterwards and is referred to as such by the mid 13th Century. Some damage was done during the Anglo - Welsh wars with rebuilding taking place in the late 13th and early 15th Century. Further renovations have taken place over the centuries but fine medieval glass and woodworks were sold off to pay for structural alterations. The surviving medieval fabric of the church is largely of c1220-30, though this incorporates some earlier, probably 12th Century masonry at the north west corner. 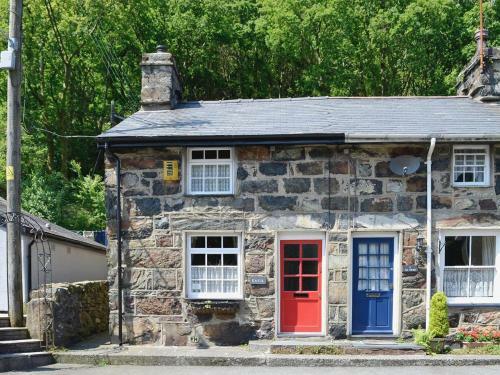 Items of interest include 13th century triple lancet windows, an arcade and doorways.